Panasonic relied heavily on Leica to produce their lenses for the four-thirds market but have been producing their own since the introduction of the micro four-thirds cameras. They couldn't compete with Olympus in this area. However, the Olympus lenses perform very well on the Panasonic bodies and the Leica lenses are superb. Olympus were the instigators of this system, designing a whole new system with a smaller sensor, hence believing they could reduce the size of the lenses. They could slightly reduce the size but the cost for these lenses were/are really high. The first camera they brought out was the E-1 (and I still have one). It has a 5MP sensor and still takes some wonderful images. Don't let the marketing department of these companies tell you that the more pixels you have the better the images are going to be. By the way, the E-1s shutter sound is yet to be beaten. Completely opposite to the Pentax clunky shutter sound. 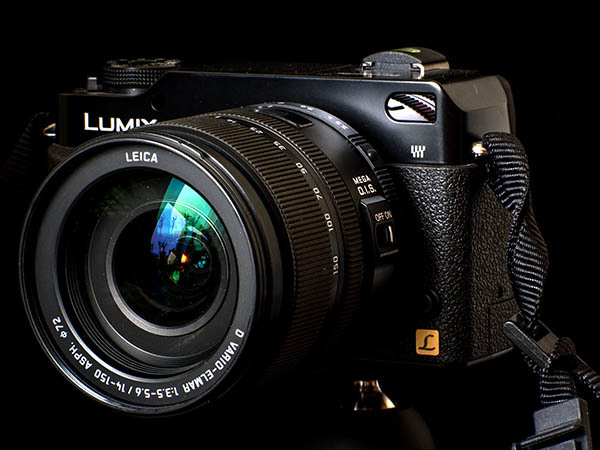 Above is an image of one of my all-time-favourite cameras, the Panasonic DMC-L1. I still use it today especially with the Panaleica D Vario Elmar 14-150 f3.5-5.6 O.I.S. lens. However, going back to one of these is a bit of an eye-opener as it is a brick of a camera and I personally feel the weight difference compared to today's mirrorless cameras on the market.